Posted by Alicia Jaimes on February 8, 2019 in Lifestyles, Top Stories. Ferris advertising/integrated marketing communications alum Daniella Sanchez was one of 15 contestants chosen to participate in Buzzfeed and Instagram’s VerticalU program. 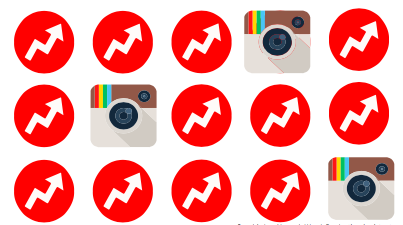 According to variety.com, Buzzfeed and Instagram chose 15 video creators to visit Los Angeles, California, in December 2018 where they produced content for Instagram Television (IGTV). The chosen contestants were given a five-day VerticalU training series that included workshops, panels, presentations and hands-on production exercises from Buzzfeed and Instagram professionals. After spending roughly eight hours on her pitch deck and application materials, Sanchez was chosen for a follow-up video interview and was later flown to West Hollywood. “Instagram actually hooked us up with a suite. It was super nice. They also covered all of our travel expenses and food costs,” Sanchez said. Passionate about filmmaking since she was 11 years old, Sanchez has spent her life practicing and learning about videography, participating in YouTube NextUp events and growing her YouTube channel to more than 100,000 subscribers. 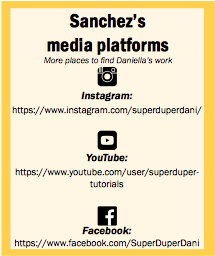 Sanchez enjoyed learning from the Buzzfeed and Instagram creators, as well as meeting new faces along the way. “I spent nearly a week with her, learning all things on creating vertical content,” Eater blog editorial assistant James Park said. Park met Sanchez in Los Angeles through the VerticalU program where he learned about Sanchez’s past work and connected with her positive personality. “Dani is super funny and definitely has a great grasp of what is funny to an online video audience,” Northwestern University (Evanston, Illinois) journalism senior Sam Schumacher said. Schumacher was another VerticalU contestant familiar with Sanchez’s work. After meeting new videographers and making lifelong connections, each creator had to pitch their VerticalU idea and was given a $1,000 production grant to create their final projects. These projects were given a six week deadline and will be unveiled at the end of February. Sanchez will be screening her final product Feb. 28 at Instagram in New York City.